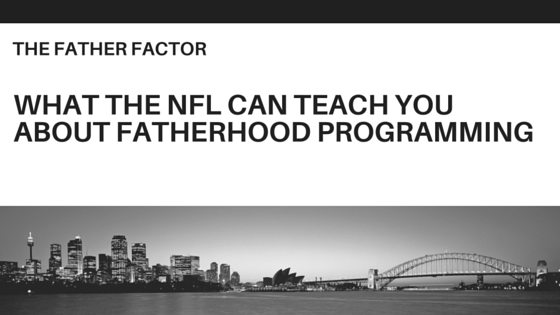 As we wind down another NFL season and get ready to celebrate the golden anniversary of the Super Bowl, there's a vital lesson for efforts to implement fatherhood programs. The lesson comes from an unlikely source: the link between the salaries made by NFL players and their play time. Does that link seem odd? Stay with me for a moment. Two recent studies by Dr. Quinn Keefer at California State University San Marcos found that in the NFL, a player’s salary affects his play time, even after controlling for performance. The first study found that first-round draft picks started significantly more games than later-round picks despite no better performance. The more recent study found that defensive players with higher salaries receive more play time than their lesser-paid peers despite no better performance. This tendency of NFL teams to give higher-paid players more play time regardless of performance is an example of the sunk-cost fallacy, the tendency in humans to stick with a decision they've made because of the original investment in that decision, an investment that can't be recovered. This bias leads people to make irrational decisions that aren't in their best interest. NFL teams sink a ton of money in players. As a result, decision makers are reluctant to tie playing time solely to performance. Decision makers in other sports aren't immune to this bias. By the time professional athletes are ready for that big payday, they're often on the downside of their peak. Their performance decreases even as teams make a greater investment in them. The lesson for efforts to implement fatherhood programs is not to fall prey to the sunk-cost fallacy. Don't stick with strategies, tactics, programs, and services that don't work simply because of the investments you've made in them. These investments aren't only financial. They're also emotional. Indeed, it's the emotional investments that can be bigger barriers to stopping what doesn't work and finding things that do work. Have you analyzed what's working and not working in your fatherhood program? Is there anything you're doing that you should stop doing, but have been reluctant to stop because of a financial or emotional investment?